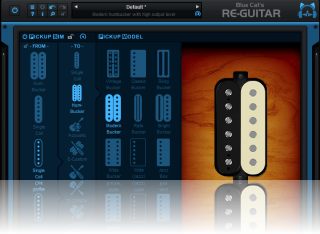 Thank you all for the great feedback we keep receiving about the new Re-Guitar plug-in! 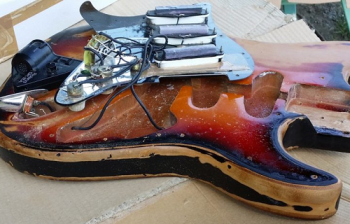 Today we'd like to share with you the story of the birth of the Re-Guitar plug-in. Discover how this new plug-in was built, and what it takes to create such tone modeling software with cat's ears. Enough teasing! We are very excited to release today Blue Cat's Re-Guitar, our new guitar tone simulation plug-in that transforms the tone of your instrument by changing the pickups, digging the body or emulating an acoustic guitar, all inside the box! Re-Guitar is available as a built-in plug-in inside the Axiom multi effects processor or separately. Get it now with our introduction offer on Axiom (-20%), Re-Guitar (-30%) and the Axe Pack bundle (-17%), until April 5th! Existing Axiom customers will get the built-in Re-Guitar plug-in for free with the Axiom 1.2 update, and other registered customers get a larger discount on Re-Guitar (-50%) and Axiom (-30%): check your email! With a brand new GUI, dual lookahead support and many other improvements, Blue Cat's Dynamics 4.2, is now available! Price has dropped to 129 EUR/USD, and the plug-in is currently available for purchase with 23% off until February 28th. Upgrade is free for existing customers and can be found from the same location as the original download (link received by email upon purchase). 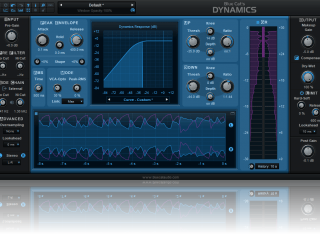 More details about the plug-in and demo downloads can be found on our Dynamics all-in-one dynamics processor page. Enjoy! Happy new year! We are very excited to finally unveil today Blue Cat's MB-5 Dynamix 2.0, a new version of our multiband dynamics processing plug-in announced at NAMM last year(!). The user interface has been completely redesigned, and the plug-in now offers better control over the dynamics response, external side chain support and many other new features and enhancements (full list on the plug-in page). The plug-in is available for purchase with 20% off until January 31st (and the Energy Pack bundle with 25% off), while existing customers get an extra 11% discount (check your email!) during the same period. Upgrade is free for customers who purchased the plug-in in the past two years, and previous customers will receive an upgrade offer (for a small fee) by email. 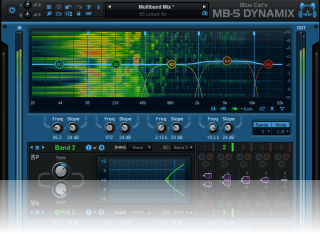 More details about the plug-in and demo downloads can be found on the MB-5 Dynamix multiband processor page. Check it out! Looking for older news? Please consult the News Archive page.